For the first time, a poem has appeared in one of the Bird Face series books! I got to thinking . . . if one of my characters writes poetry, maybe some of the series’ readers do—or would like to try. And if you haven’t read any of these novels, here’s an opportunity to win the very last one (and a personal favorite). In honor of my poet-character and her work, I will give away one paperback copy of 3 Things to Forget to a U.S. winner OR one such ebook to a winner in the U.S. or elsewhere. This is a competition rather than a random drawing, and I am the judge! I’ve always loved poetry, and if you’ve followed this blog for some time, you may already know that I enjoy Robert Frost, Henry Wadsworth Longfellow, and Alfred, Lord Tennyson. To enter this competition, please comment on this blog post with a stanza or two of a poem you’ve written. It doesn’t have to rhyme, but I’ll admit I prefer rhyme. Easily guessed by looking at my favorite poets. Around 100 words will do. Although your work is copyrighted the moment it is published, even online, I respect your desire to protect your work. You don’t need to provide a whole poem. (Unless 100 words is the whole poem!) Just try to wow me or move me with the first lines, or your favorite lines, of your poem. I will not extract and use your work. Remember, YOU choose to publish it in a comment if you wish to enter the competition. But this blog post will be shared by me and by others. I will research your selection and will disqualify plagiarized work or previously published work (in print), even if it is yours. If any subject matter and/or theme is of a sexual or graphically violent nature, would promote illegal activity, or would be inappropriate for children under 18, the comment/poetry will not be accepted. This contest ends at 11:59 P.M. Central Standard Time, December 15, 2018. I look forward to reading your poetry! As I suspect is probably the same for teens today, my teen years were the period when I was most reluctant to venture outside my comfort zone. Whether to say hello to a newcomer or try a new craft or sport. Even to help in a way I’d never helped before. To trust—in myself, in family, in God. Adults often find it difficult to encourage—let alone convince—teenagers to trust, to reach out, branch out, think courageously or outside the box. But story can sometimes do the job we are unable to do. I’ve read and enjoyed them all. Full disclosure: The anthology contains a short story of mine, and all its stories contain strong Catholic elements. One of the novels is mine as well, and the character lineup includes deaf and Jewish teens. All these books can be enjoyed equally by boys and girls. So, take a look. You might find the right gift for a teen you know this Thanksgiving, Christmas, or Hanukkah. First up: Roland West Outcast (West Brothers series) by Theresa Linden, who was raised in a military family, where she developed strong patriotism and a sense of adventure. Shy Roland West, who fears speaking up, attends high school with gossips and troublemakers. After panicking in speech class and becoming the subject of gossip, his best friend, Peter, pushes him to uncover the vandals of an outcast’s house before they strike again. My review: How I rooted for Roland to find his voice in this book! But Peter . . . he surprised me by becoming my favorite character of the West Brothers series. To quote him: “You can’t act on your impulses just because you love someone.” Therein lie the strength and beauty of the story message. Sometimes, like some of the characters in Roland West Outcast, young people believe that their feelings justify their actions. The results can be harmful to themselves or to the ones they love. Both Roland and Peter prove what pure, unselfish love can be. And they are put to the test in defending their faith and demonstrating it, in spite of strong criticism, while solving a mystery and righting a wrong committed against a new girl at their school. Next: Where You Lead by Leslea Wahl, who strives to write fiction that will inspire readers to use their own talents and gifts to glorify God. Sixteen-year-old Eve’s lonely existence changes in an instant when visions of a mysterious stranger haunt her. Certain God is calling her for a mission, she bravely says yes and begins her quest to meet this young man. Thousands of miles away, Nick has been dealing with his own unusual experience, an unwavering certainty to convince his father to run for political office. My review: This is my favorite of Leslea Wahl’s novels so far. The setting of this mystery is Washington D.C., and the historical and geographical references flavor the backdrop in just the right amounts. I immediately connected with Eve, and both Eve and Nick are not only likable characters but endearing. The balance of description, narrative, and dialogue makes this novel a smooth read. This story could be the start of a good series. It is clean with Christian/Catholic elements that are used in a natural way for the characters. And: 3 Things to Forget (Bird Face series book four) by Cynthia T. Toney. That’s me! In Alaska, Wendy thinks she’s left behind the problems resulting from her mistakes in Louisiana, at least for a while. But starting the summer at her friend Sam’s house and volunteering with wildlife conservation bring not only strange surroundings but also strangers into her life. And those strangers have a secret involving a troubled girl who threatens Wendy’s friendship with Sam. As Wendy struggles to understand the Alaskans she meets and gets to know, will she be able forget what she hopes to, or will her new challenges teach her the importance of remembering the past? 1. In a dystopian future, an innocent picnic turns deadly! 2. Elijah knows nothing of the elderly stranger’s secret past–until her disappearance changes everything. 3. A mysterious, ever-changing painting alarms a group of teens. 4. The cannonball took Dario’s legs . . . Will he lose his soul too? 5. The arrival of a mysterious girl challenges everything about Jason’s life. 6. An unlicensed driver. His dad’s truck. What could possibly go wrong? 7. An old tale of murder and forbidden love leads to a modern day treasure hunt. 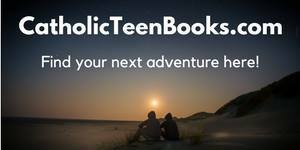 So, I hope you or a teen you love finds inspiration or motivation within one or more of these books. Have a beautiful holiday season! I have missed you, little blog! Sorry that it has been almost two months since I have given you any attention. A relocation to another state has taken up most of my time. But we are only ten days away from release of the fourth and final book of the Bird Face series, 3 Things to Forget. And this special promotion should cheer everyone up! This special is for ONE DAY ONLY, October 16th. The new book in Kindle version will be only 99 cents, and the first book of the series will be free. So mark your calendars to take advantage! And don’t worry. This is not the end of the Bird Face Wendy blog. I have a lot more to share with you about writing, publishing, and marketing books. Coming soon … everything I learned about entering literary contests! May I make it up to you with a SALE? May 20-26, the Amazon ebook version of 6 Dates to Disaster is only 99 cents. Maybe my timing isn’t all that bad, because you can catch up with Wendy and her friends at a reduced price while waiting for book four of the Bird Face series, 3 Things to Forget. Watch for it in September! And for the first time, I have *completed* a short story! (Never thought I’d do it.) “Recreation” will be part of an anthology, Secrets. Sign up for the newsletter at the website featured in the meme below to receive updates. While you’re there, check out all the middle-grade and young adult novels from its members. While you enjoy a Happy Independence Day this July 4th, grab the Kindle version of 6 Dates to Disaster on Amazon at only 99 cents. It’s a lot less expensive than barbecue but just as delicious! This special first-time sale runs July 4 – 10, 2017. Visit Amazon for your copy. My publisher featured 6 Dates to Disaster today on the Write Integrity Press blog with the first scene for your convenience. I hope you enjoy reading it! This is the third book of the Bird Face series, and Jennifer is back in Wendy’s life, although not shown in the first scene. The story addresses honesty and how dishonesty can damage a teen’s relationships and future.